Below you can view all the homes for sale in the Barrington subdivision located in Suwanee Georgia. 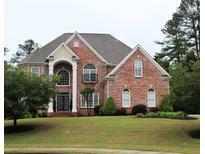 Listings in Barrington are updated daily from data we receive from the Atlanta multiple listing service. To learn more about any of these homes or to receive custom notifications when a new property is listed for sale in Barrington, give us a call at 404-998-4113. Relax Or Entertain On The Screened In Porch To Enjoy The Serenity Of The Private Wooded Back Yard On This Cul-De-Sac Lot! Well Maintained! Sign Coming Soon! MLS#6503178. Keller Williams Realty Atlanta Partners. The Deck Has Space To Entertain And The Unfinished Terrace Level Is Waiting For Your Finishing Touch. MLS#6076126. Keller Williams Realty Partners. Private Backyard With Mature Plantings & Plenty Of Play Area! MLS#6000956. Re/Max Center.